Bullets into Bells: Poets and Citizens Respond to Gun Violence — Shakespeare & Co.
Friday, April 20: Ten Missoula-based writers and students read selections from Bullets into Bells: Poets and Citizens Respond to Gun Violence, as well as original work on the subject of gun violence. 7pm. 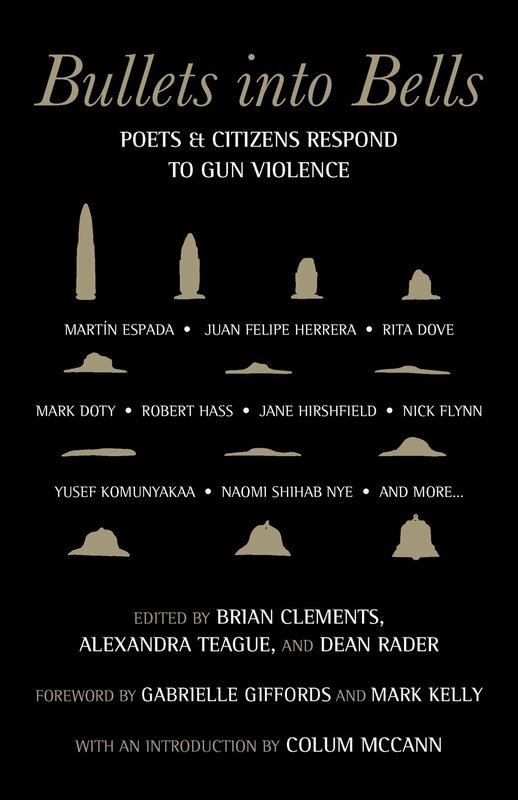 Bullets into Bells: Poets and Citizens Respond to Gun Violence is the first poetry anthology in the United States focused on the effects of widespread gun violence. The book pairs contemporary poems with responses by gun violence survivors, family members of victims, law enforcement officers, clergy members, politicians, and a range of other voices.